An influential Kremlin aide has predicted a “glorious century” for Vladimir Putin’s political system. Writing in the Nezavisimaya Gazeta newspaper, Vladislav Surkov said the world had yet to see peak Putinism but that, in time, even adversaries would end up copying his system. “We need to recognise, understand and describe the Putinist system of government … as the ideology of the future,” he said. The controversial aide, once coined Kremlin’s “grey cardinal”, dismissed rumours of a crisis in the Kremlin. Quite the contrary, he said, Putin’s system had “longevity built in”. It would last for decades because it was native, “organic”, and had already survived several shock tests. Mr Surkov, responsible for the Kremlin’s domestic strategy during the 2000s, is credited with creating much of Russia’s postmodern, authoritarian model of government. He called the system “managed democracy” – a term that critics suggested was only ever half true. In his long and often rambling article, the aide stayed close to his historical form. Russia was strong, he argued, only because it had rejected western notions and democratic institutions. Such institutions only gave an “illusion of choice”, and were inferior to Russia’s wise leader, who was able to “listen, understand and see” his people. Writing on Facebook, the political commentator Abbas Gallyamov noted wryly that Mr Surkov’s idea of trust appeared at a time of polls registering historically low levels of trust in the leadership. Mr Surkov spared little praise of his boss. 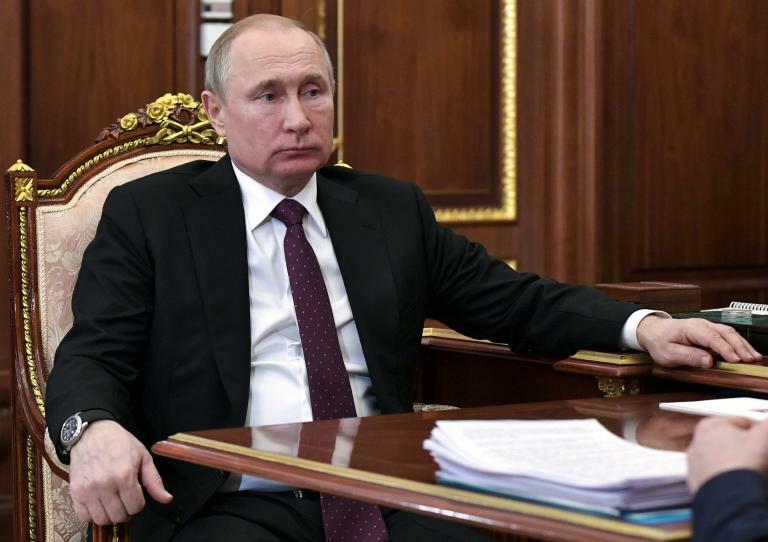 In time, Putin’s Russia would be recognised Russia’s fourth great “model of state-building”, he said – and on a par with the efforts of Ivan the Great in the 15th century, Peter the Great in the 18th century, and Vladimir Lenin in the 20th century. Putin’s system was also ripe for export, Mr Surkov added. Foreign governments were already paying close attention, since the Russian “political algorithm” had long predicted the volatility now seen in western democracies. During his peak in the 2000s, Mr Surkov cultivated an image of being an all-powerful operator, expertly recruiting and co-opting all strands of ideology political opinion. But his ambitions always went further than being an operator. He saw himself as the beating intellectual heart of the regime. Mr Surkov, while still an influential player, is no longer at the heart of the Kremlin policy machine. He fell out of favour with Vladimir Putin after appearing to side with Dmitry Medvedev in the tempestuous protest years of 2008-2012, and was unceremoniously dropped in favour of rival Vyacheslav Volodin. Since then, Mr Surkov is believed to have taken charge of the Kremlin’s secret campaign in eastern Ukraine, has acted as Russia’s point of contact in the Minsk peace negotiations, and has taken to penning lofty essays about the state of Russia. Presidential spokesperson Dmitry Peskov said Mr Surkov’s “complex”, “interesting” and “deep” article had been neither approved or seen by the president. That said, those inside the corridors of power shared “many” of the opinions. “Surkov has experience in domestic politics, in party politics and in state-building that is hard to overestimate,” the spokesperson said.